South Texas Cardiothoracic > Doctors > Surgeon > Leopoldo Zorrilla, M.D. Dr. Zorrilla joined South Texas Cardiothoracic and Vascular Surgical Associates in September 1997. He began his surgical practice in San Antonio in 1972. He is a Diplomat of the American Board of Surgery and the American Board of Thoracic Surgery. Dr. Zorrilla came to the United States after graduating from the National Medical School at the National University of Mexico where he obtained his medical degree. At the University of Texas Health Science Center and the Bexar County Hospital District, he completed an internship, general surgery residence and thoracic and cardiovascular surgery residency. He also completed a fellowship in cardiovascular surgery at the Texas Heart Institute in Houston, Texas under the direction of Dr. Denton Cooley. 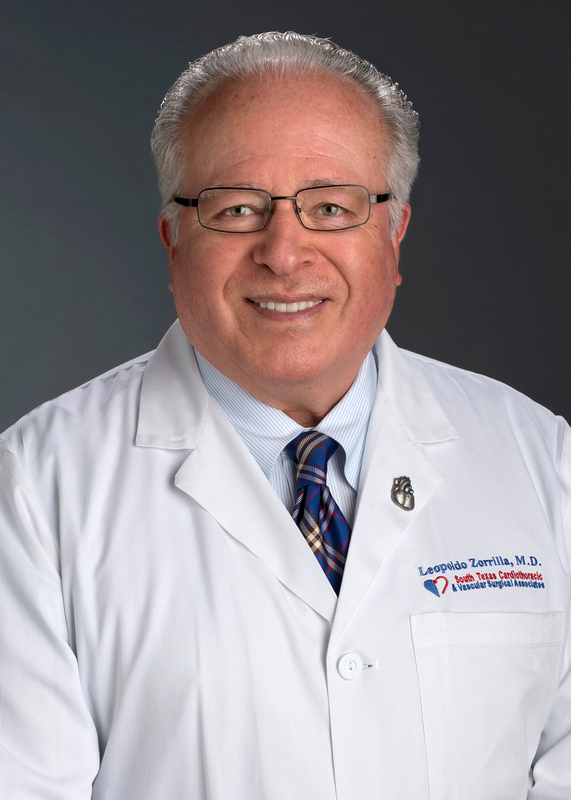 Dr. Zorrilla has actively participated on numerous hospital and medical organization committees, and has served as Clinical Professor at the University of Texas Health Science Center at San Antonio, Texas since 1972. In addition, he has served on the Board of Directors and the Executive Committee for the San Antonio Symphony. Currently Dr. Zorrilla is engaged in private practice in cardiac surgery. His main interests are coronary surgical procedures as well as aortic and valvular surgical interactions, including mitral valve repairs and reconstructions.